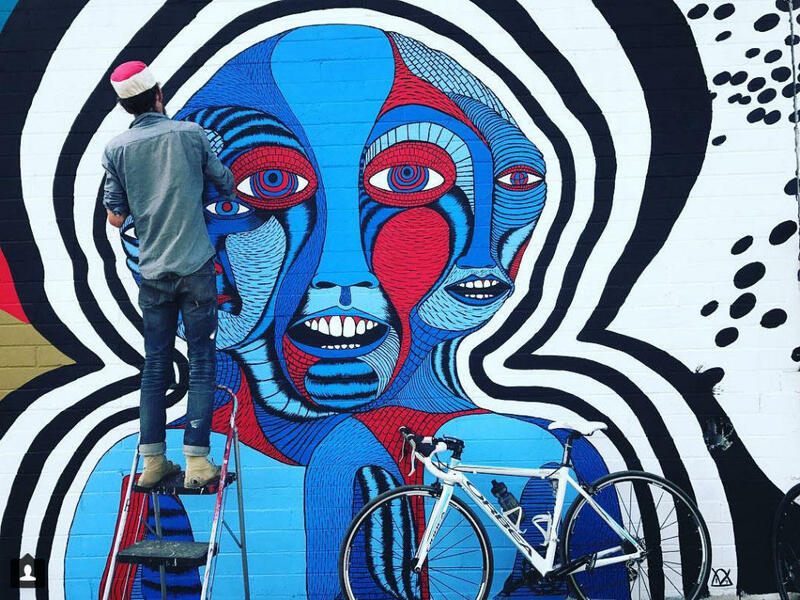 Over fifty artists are being given free rein this month in Albuquerque to create highly visible outdoor art. Throughout downtown and nearby neighborhoods, barren walls are being turned into public canvases by local, national and international artists. Mural Fest 2018, September 22 - October 13, is the follow-up to a successful first-time event last year. "Murals are the peoples' voice. Art has always been a catalyst for moving cultures forward," says artist JP Eaglin, the curator of Mural Fest and its co-producer along with Jay Spang. "This festival is more than just putting paint on walls. We're going to bring in people from all walks of life to create beautiful images of who we are as Burqueños." In this more complete version of the conversation, JP talks about how he and Jay find appropriate walls in Albuquerque for the Festival's murals. "Over the last few years, we have driven, I think, every square inch of this city. We look to find beautiful human beings that own these walls. The wall owners have just as interesting stories as the muralists themselves."